Chris has been Vice-Chancellor of Sheffield Hallam University since January 2016. 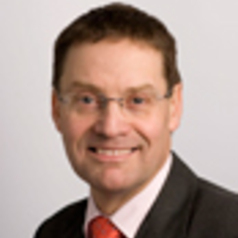 He has held senior leadership posts in universities for over fifteen years, as Head of the Institute of Education at Warwick University (2000–3), as Dean of Education and Lifelong Learning at the University of East Anglia (2003–7), as Dean of Faculty and then Director at the Institute of Education (2007–15) and as Vice-Provost at University College London (2014–15). His academic expertise lies in education policy and practice; his work has been developed in fifteen books and over four hundred papers and presentations. He has advised local and national governments in the UK and internationally, across four continents. Chris graduated with a double starred First in History from the University of Cambridge, where he went on to complete a doctorate in Geography. He was a teacher and senior manager in urban secondary comprehensive schools before becoming a university lecturer.